characteristics, is used to classify the respondents and understand the results. Identification information includes name, postal address, e-rnail address, and telephone number. on it. 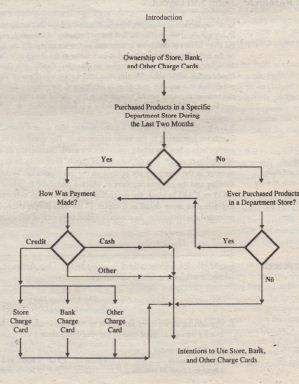 A flowchart used to assess the use of credit in store purchases is shown in Figure 10.2. How a questionnaire is reproduced for administration can influence the results. For example, if the questionnaire is reproduced on poor-quality paper or is otherwise shabby in appearance. the respondents will think the project is unimportant and the quality of response will be adversely affected. Therefore, the questionnaire should be reproduced on good-quality paper and have a professional appearance. Vertical response columns should be used for individual questions. It is easier for interviewers and respondents to read down a single column rather than sideways across several columns. Sideways formatting and splitting, done frequently to conserve space, should be avoided. 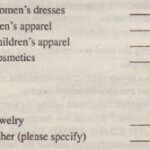 This problem can be observed in The American Lawyer questionnaire. The questionnaire should be reproduced in such away that it is easy to read and answer. The type should be large a~ elear, Reading the questionnaire should not impose a strain. Several technologies allow researchers to obtain better print quality and simultaneously reduce costs. 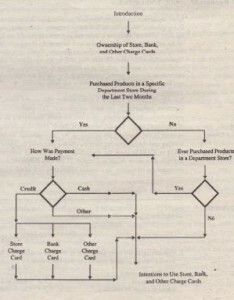 One effort along these lines resulted in a lowering of printing costs from $1,150 to $214.